(Edited and updated August 2014) WOW, I’m impressed with all of the traffic this post is getting! 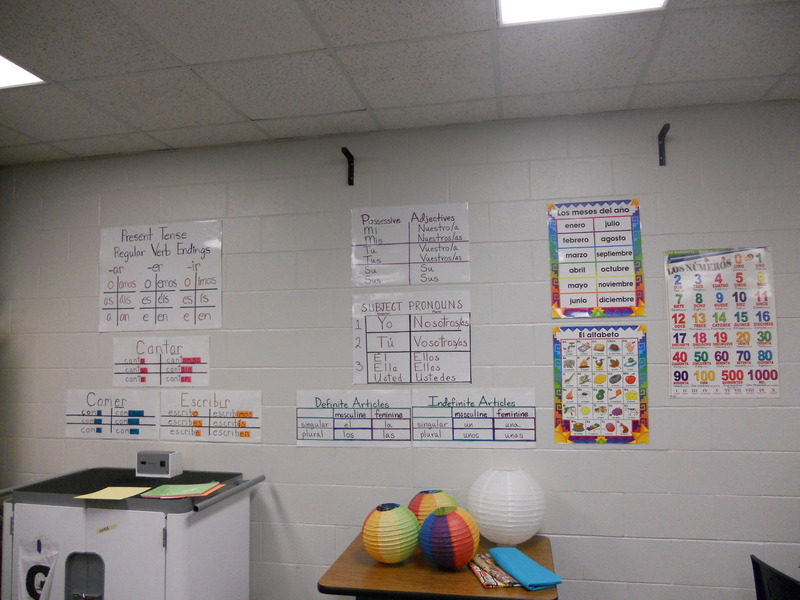 I really hope that this post provides you with ideas for your own classrooms! 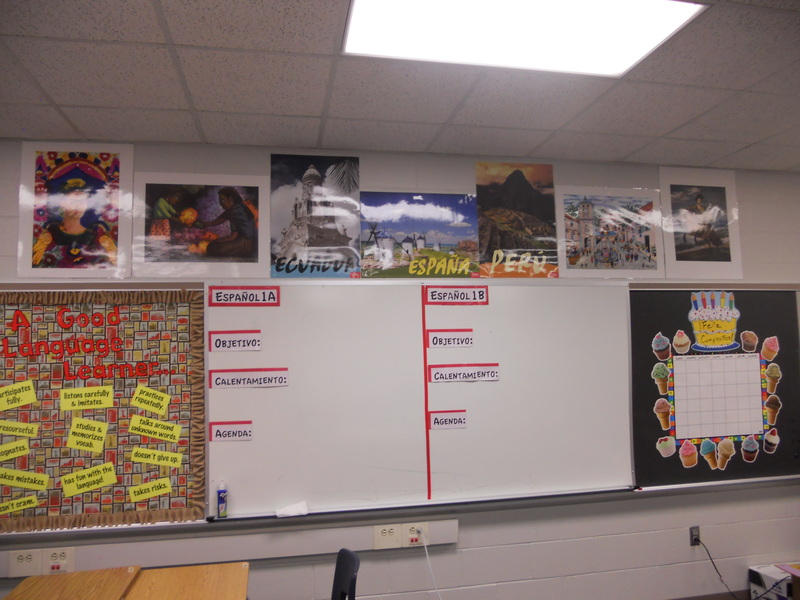 Here are some pictures of my classroom that I would like to share. I’m really pleased with how this one turned out. 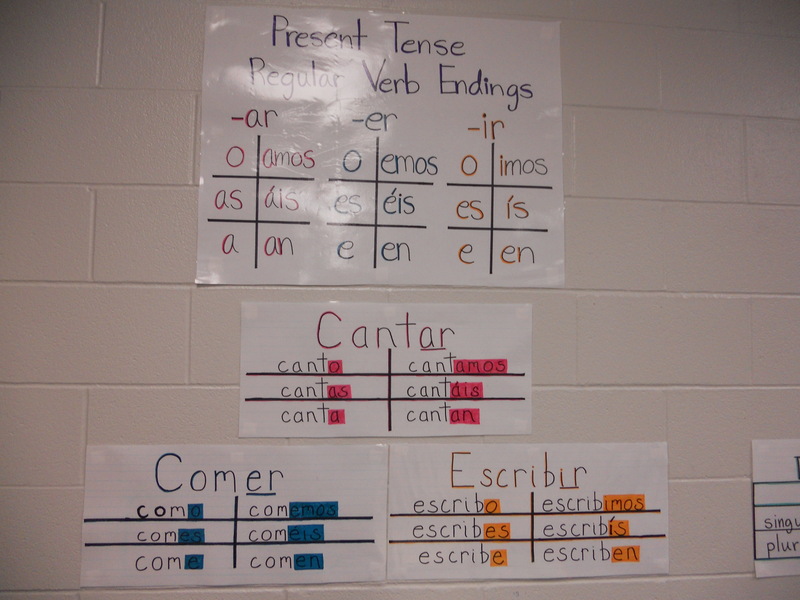 I bought these country labels on TeachersPayTeachers from SpanishPlans. Then I laminated each card and divided them into 4 sections according to location. 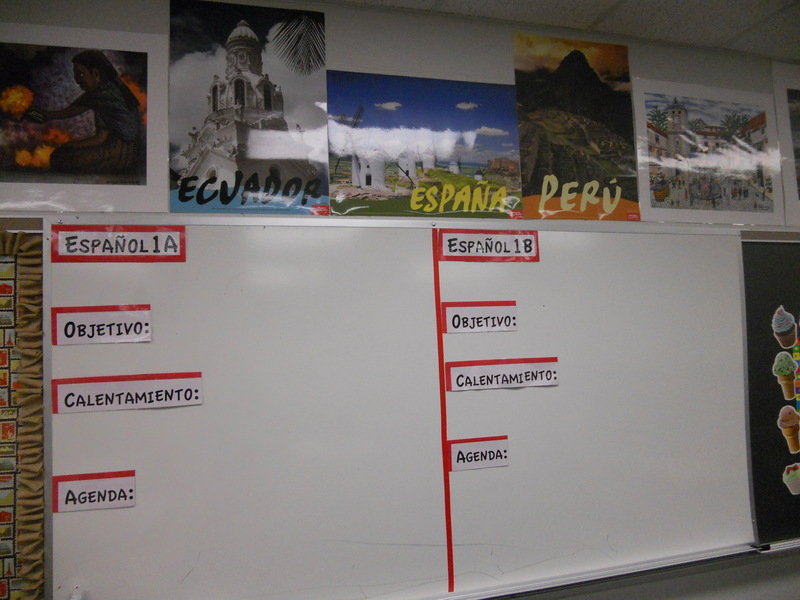 I teach 2 levels, so the back of the room became my place to write the daily objectives, warm-ups and daily agendas. My wall of posters, many of them handmade. I like to keep my room colorful and full of cultural posters. Do you as a teacher like improving your room year to year? I’ve slowly bought more things and made more posters these past three years of teaching. I like your bulletin boards especially the “Good language learner” one. It gave me some ideas for changing up things in my high school classroom. 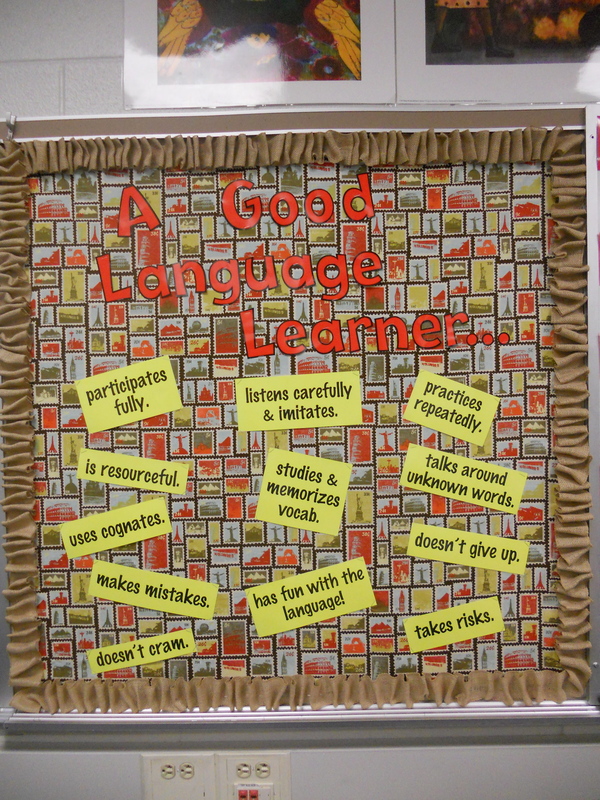 i really liked your “Good language learner” bulletin board and would love to make one in my classroom. Would you share where you got your signs (takes risks etc)? Thank you! I made the signs myself! I used colorful card stock paper and my school’s laminating machine. I can send you the templates if you’d like. Can you send me the templates too? 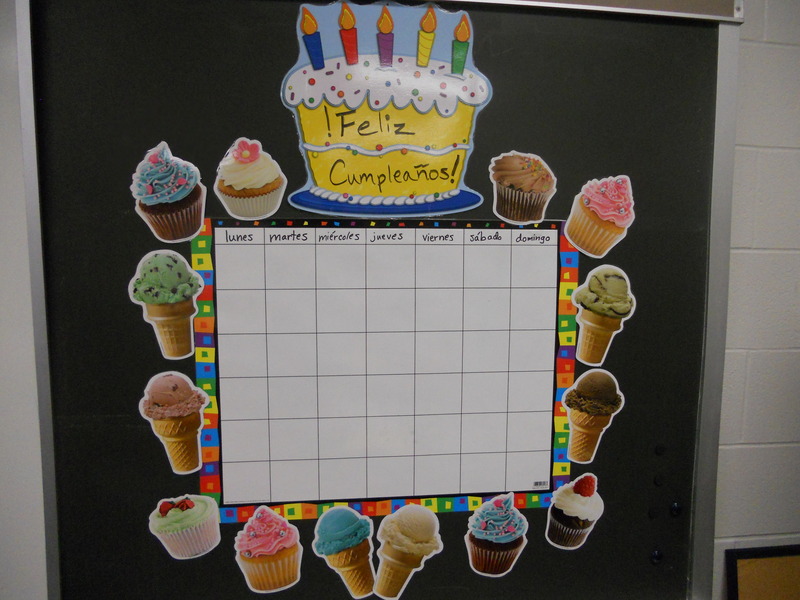 I LOVE that butlletin board…I start school LUNES! I haven’t had my own room for four years. This year I get a new room in a new building. I appreciate your willingness to share! 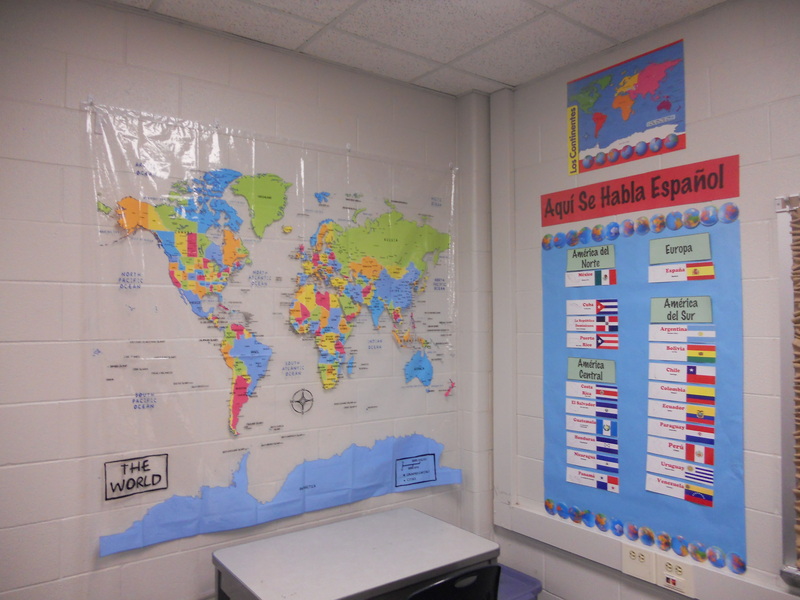 Hi Andrea, I’d love your templates for the “Good language learner” bulletin board. Could you send them to me? 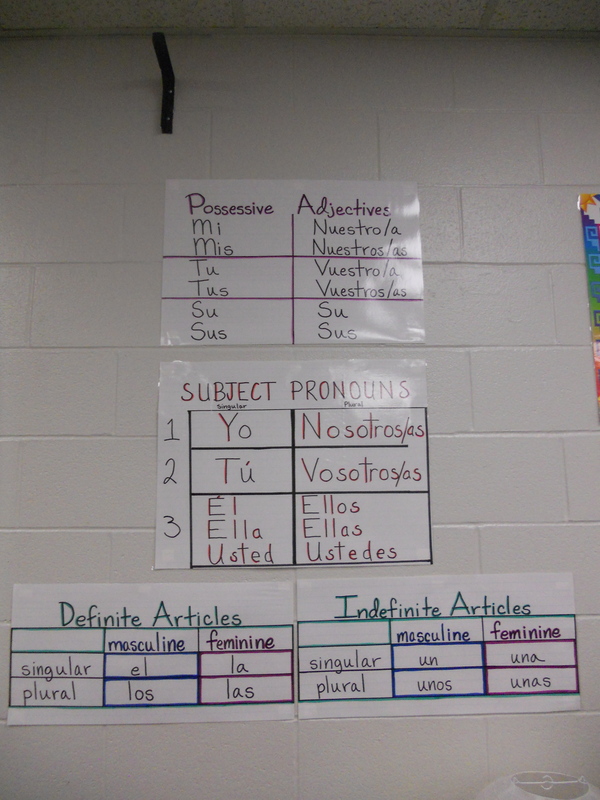 I love your good language learner board, I would love to incorporate the idea into my classroom. Could you possibly send me the templates? I’d appreciate it! I do LOVE your good language learner board…could you possibly send me the templates you offered. It would save me a load of work. They are really inspirational! 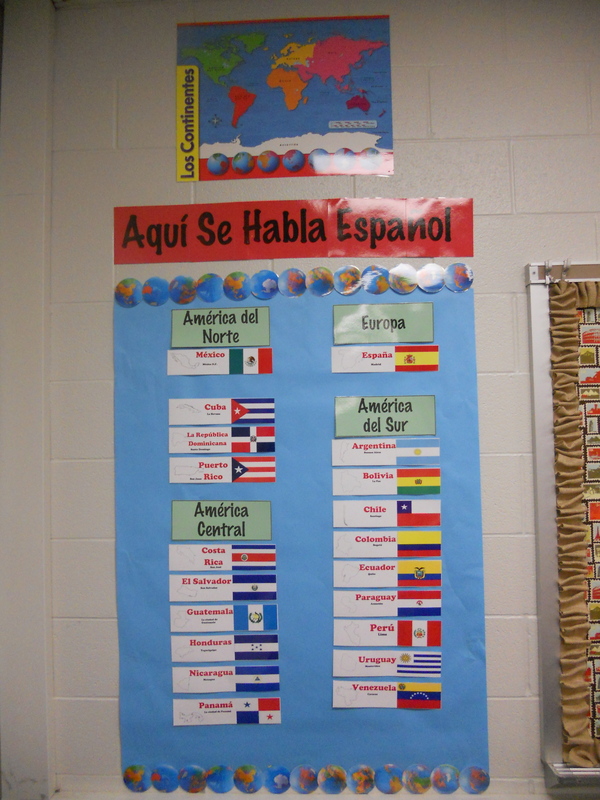 I love your “Aquí Se Habla Español” board! Do you have a template for that?? Will you send me templates too! Where did you find the map that you have in your countries corner?